How much thought do you actually put into your weekly manicure? A self-care habit nearly all of us indulge in and yet rarely consider the consequences. People are becoming increasingly aware of chemicals in makeup and food, but did you know that even your nail polish can contain harmful chemicals?! Many well-known brands include harsh ingredients such as Formaldehyde, Xylene, Triphenyl Phosphate and more. Enter Ella + Mila. Chip-resistant, quick-dry and high-shine nail colors. But best and most importantly of all, all of their polishes are classified as a seven chemical-free product. They’ve made over 140 gorgeous color shades to date and recently launched a line of liquid lipsticks made up of e+m original shades to complete the perfect nail & lip duo! 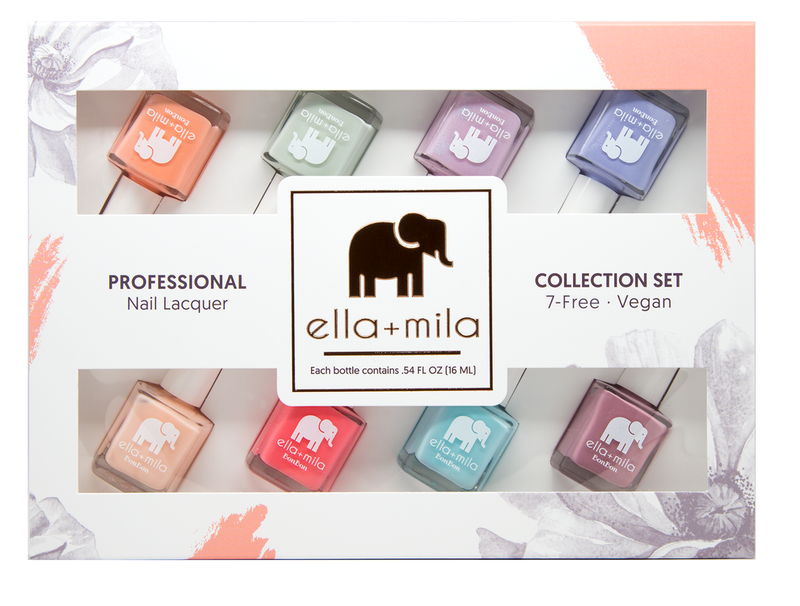 Being cruelty-free and non-toxic, women can feel good about this choice for themselves and their daughters - the Mommy and Me duos could not be cuter, and the brand is actually adorably named Ella + Mila after one of the founders’ twin daughters! As awareness continues to rise about the harsh chemicals we’re exposed to, this brand continues to gain popularity and it’s not hard to see why. The brand is also constantly ahead of the times, launching a new collection of trending colors about every 8 weeks. The founders are dedicated to healthy beauty, striving to provide fashion-forward beauty products without compromise.